Nintendo Switch Splatoon 2 Review – Splatoon 2 is a chaotic and colourful turf battle of 4 vs 4 Multiplayer on the Nintendo Switch (check out our review on Nintendo Switch if you haven’t read it yet). 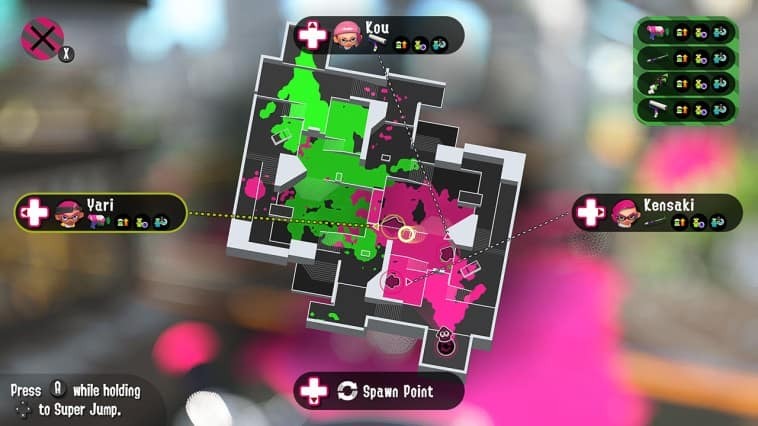 The whole idea is to paint the whole area of the map with your team’s ink and by the time the match is over, you (your team) win if your team’s colour cover more area than the opposing team. It does sound simple but in reality, it is much more chaotic because the inks can be overridden with the opposing team’s ink and players can also be attacked and killed. This makes it more fun and challenging because with 8 real players running around the screen shooting inks and bombs – things will get messy. Though there is a Single Player Campaign available with a decent story and boss battles to fill in, Multiplayer is definitely the main highlights of Splatoon 2. Unfortunately, you cannot locally play with a split screen like Mario Kart 8 Deluxe – which is disappointing, but understandable considering the degrading experience of having to split the TV screen into 4 with this game. You can play locally, but it requires everyone to have their own Nintendo Switch. 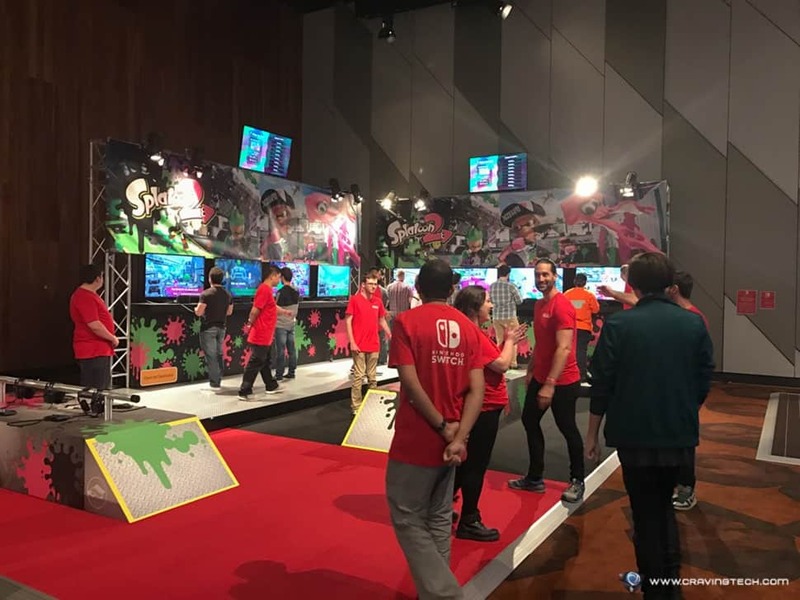 When Nintendo Switch was officially launched in Australia, I had a chance to experience local multiplayer and actually had a blast. But it’ll not be easy to get 8 friends with their own Nintendo Switch in our circle of friends. The best experience, then, is to go online and play Splatoon 2 with a bunch of strangers which is still great. In fact, playing Splatoon 2 online is so addicting that you’d just want to play over and over non-stop. However, there is usually a bit of a wait before a match can start because the game needs exactly 8 players to play. As such, you’d have to wait much longer if you want to play during odd hours when not many Splatoon 2 players are around (or playing a different game). I’d prefer to have an option to play with bots added in the future than having to wait. With different types of weapons to suit your gameplay style (that needs to be unlocked), each match is unique and can be played with different tactics and strategies. 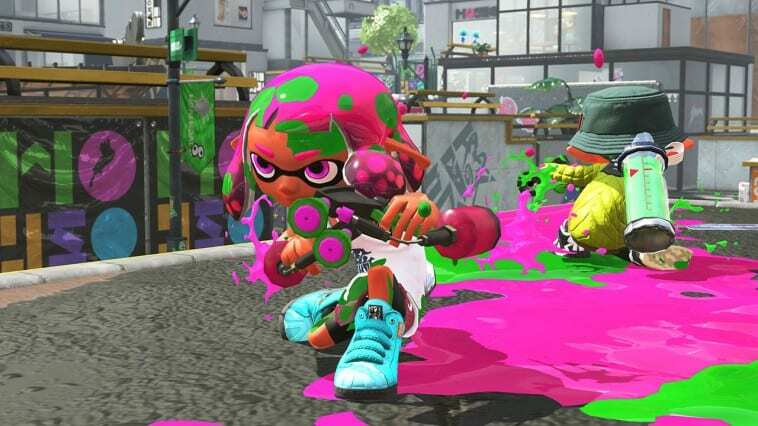 For example, a team member can go for the Roller which paints floors like mad while the rest of the team covers and takes care of the enemy players. Or if someone is good with a Sniper rifle, he/she can laid back and cover from afar. 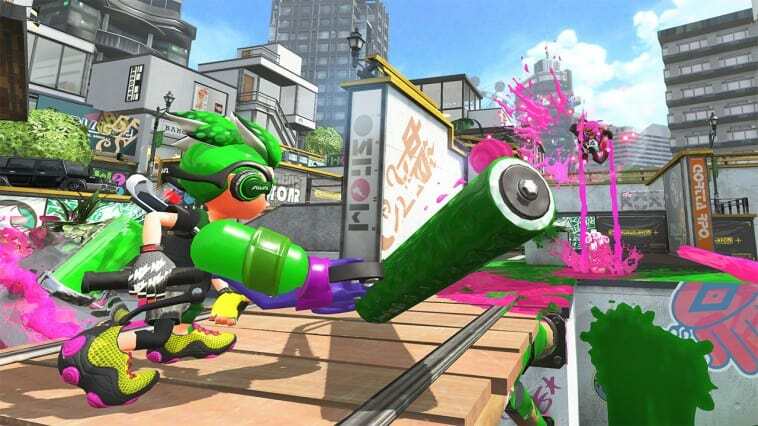 It does take some time to master the controls, especially mixing the gyro controls with the movement and aim sticks altogether (if you play Splatoon 2 on a Switch Pro controller). Thankfully, everyone is on the same setup and when you get used to it, it’s actually quite powerful as it allows you to move your crosshair quickly with the gyroscope and then perfect the aim with the right control stick. And when you are not into battling it all out 4 on 4, there is a cooperative mode called the Salmon Mode, which I haven’t had a chance to try out yet as we definitely love Splatoon 2 for its Turf War mode so far. 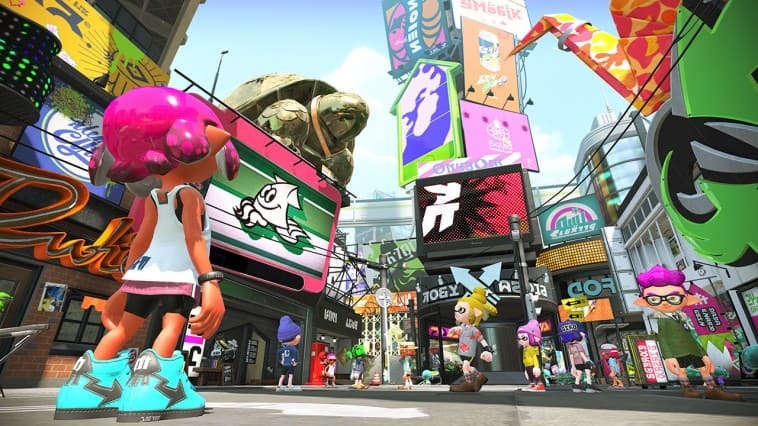 Splatoon 2, overall, is another successful title on Nintendo Switch. It is frantically fun, colourfully mesmerising, and have an entertaining, addicting multiplayer gameplay. The single player is there when you don’t feel like going online but the online Turf War battle is definitely its strongest mode that you will play over, and over again.